This week was very busy and quite fun, we had a lot of PADI Bubblemaker courses on Monday we were joined by William and Daisy then at the end of the week we had Liam, Katie and Harry they all did amazingly well and hopefully they will all be back to compete their PADI Open Water courses as soon as they are old enough. It is so fun watching the kids enjoy themselves and everyone laughing and having a really great time. 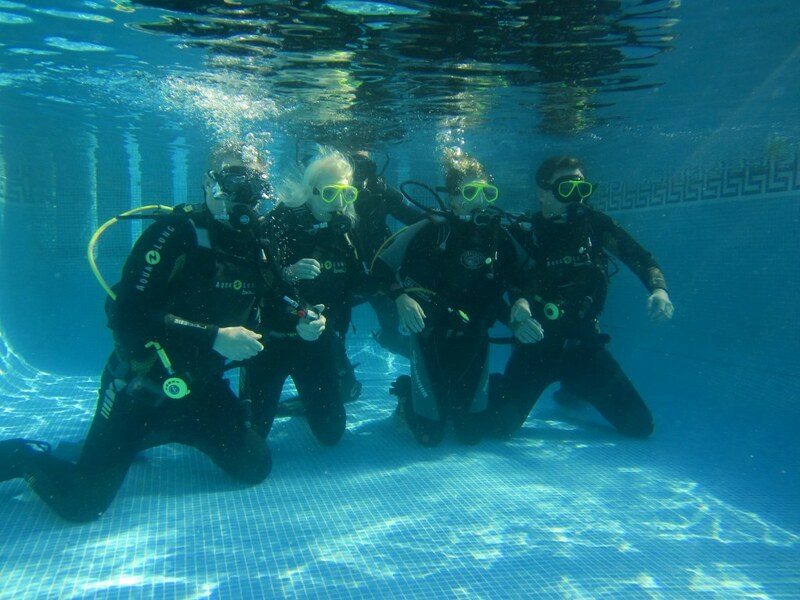 Anyone over th age of 8 can dive into the pool with scuba gear and start to learn the basics in a fun and safe manner. This week has also been a great week for PADI Discover Scuba Diving experinces ( DSD’s ), we have had some really nice customers coming in, and also talking about doing an Open water course soon. Cassandra an Intern from last summer arrived back with her brother Joe who headed out to complete his PADI Discover Scuba Diving experience, and was really happy to get to dive with his sister. The end of this week also marks the end of Ollie’s Divemaser internship, it is sad that she is leaving, but the end of this week also marks the beginning of another internship for Sseahorse, I am looking forward to starting her PADI Advanced open water course as well as continuing the great progress that starfish is making. As each week passes I realize how much I am going to miss the dive sites, and all the wonderful people I get to meet, I hope the recent customers feel the same way and will come back soon to dive with us, and for those who are looking to dive, come and see us in Tenerife, it would make our day!